Are you looking for the next place to call home? Maybe it’s even your first home purchase. Let’s face it when it comes to shopping for a new place, choosing the right house or condo is one of the biggest decisions you can make in your daily life. 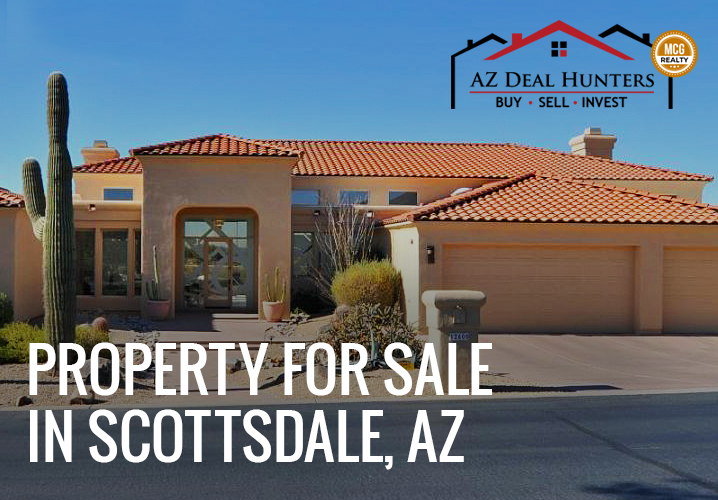 If you’re living in Scottsdale, Phoenix, and Mesa, AZ, there are a number of great options to look at buying, but where do you start? There are so many questions to be answered and so many things to consider when you’re deciding on which type of home to get. From the square footage to the location to the potential appreciation, the convenience, the amenities, the school district, and more. Maybe a condo makes the most sense for you, or maybe you need more than that. It’s important to consider all factors and options before making a decision. A realtor can help make the process a lot easier. Probably the top reason that realtors are important when it comes to picking and making an offer on your new home is that they have the education and experience with buyers just like you. You won’t need to brush up on all of the ins and outs of real estate if you have an agent on your side. Save yourself the time, the energy, and the hassle by having someone who can work through all of the details, find homes to show you, and help with all of the paperwork in both the sale of your home and the purchase of the next one. If you’re buying a new home, your realtor will know exactly what tricks of the trade to look out for when it comes to builders or other people’s agents. They will be able to take all of the phone traffic, coordinate, and sort through what’s good and what’s bad when it comes to different showings, offers, or other things that may come up throughout the process. If you’re going it alone, you are going to have to be the one that deals with all of these things and you may be unhappy with the outcome. Most of the time, realtors know anything and everything when it comes to the neighborhoods you’re looking at purchasing a home in. If they aren’t so familiar, they have the tools and know just where to find everything that they need to know. They will look at things like comparable sales, crime, demographics, schools, and more. These are all super important considerations that you’re going to want accurate information on. Realtors can use their sleuthing skills to dig everything up while you sit and wait for the information to be presented. Better yet, they will steer you away from poor decisions based on your needs. A realtor’s second job is networking because that’s how they get a lot of their new business. They’re constantly meeting new people in the industry and can give you a great list of references for the different services you may need in order to buy your next home or sell your old one. Realtors know so many people in every type of work. Realtors disclose market conditions that affect the buying and selling of homes like yours. This includes things like cost per square foot, average sale prices, days on the market, and listing to the selling price. Having all of this information will dictate all of your next steps whether you're buying a new home or selling your current one. 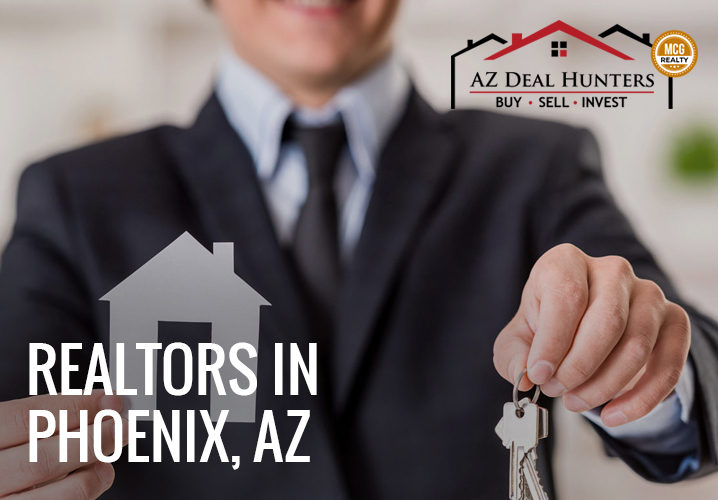 Between the purchase agreements, the federally mandated disclosures, the state-mandated disclosures, and more, your realtor will handle all of this for you. These forms need to be filled out correctly and with every last detail omitted. Failure to do so can result in hefty fines that you definitely don’t want to deal with when you’re in the process of making such a huge investment or sale. Dealing with the courts can be avoided by having a realtor that is experienced and knows how to handle and process all of the proper paperwork in a timely and accurate manner. Because realtors rely so heavily on networking and their business relationships, a lot of their business comes from referrals. They want to keep you as happy as possible and make the process as smooth as possible so that you will pass their business along to everyone that you know. Knowing this, you’re unlikely to have a bad experience with an experienced and trusted realtor on your team. Even after the purchase or sale of your home, you may have questions that come up regarding closing, tax, and more. A good realtor will be open and available to assist you no matter the need after you’ve worked with them through the whole process. Again, they rely on those continued and strengthened relationships that they build with their happy customers along the way. Realtors know the market exceptionally well, so they can steer you in the right direction on how to list your home and also what offer is going to stick when it comes to buying a new home. This will help your property sell even quicker and help you to scoop up prime real estate elsewhere. You don’t want your home to sit on the market for too long and having a realtor can ensure that you won’t run into that problem. If you’re in need of doing any repair work on the old or new home, they can help you in seeking out the best financing options for your situation. This is super helpful when you’re new to the whole process and don’t really know which way to turn. Realtors have good marketing knowledge and know what to do when it comes to selling your home so that you can live happily in your new one. From setting your listing apart from others with good photography, great promotional material, creative ways of exposing your listing online, and more. With the use of digital media becoming so prevalent in the search of new homes, a realtor can help your listing be seen in the sea of all of the others. Working with a realtor allows you access to the MLS which helps to increase the visibility of your home. 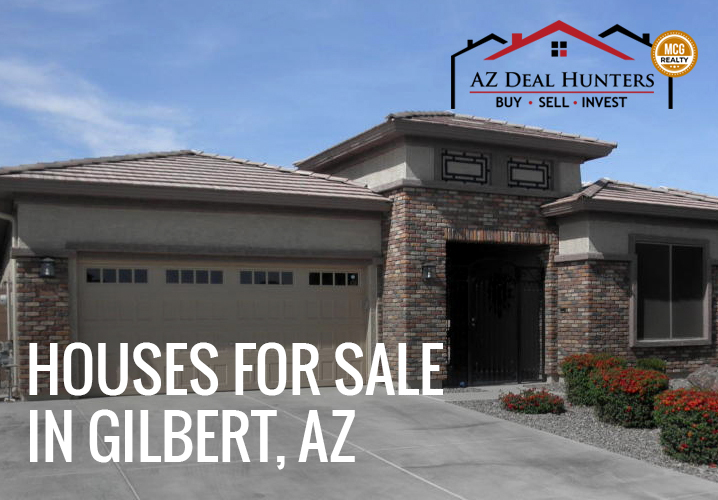 It also provides the realtor with an even larger variety of new homes that might be perfect for you to purchase. If you’re not working with a realtor, you won’t be able to utilize the MLS in your search or sale at all. An experienced realtor can spot any potential problems in your home or in a new home that you’re considering. If in your home, you will be able to fix the issue before putting it on the market if it’s something that may hold a potential buyer back from making an offer. If it’s in a new home that you’re considering, you may avoid a bigger problem down the road by being aware and looking elsewhere. Experienced realtors know how to handle negotiations when it comes to buying a new home. 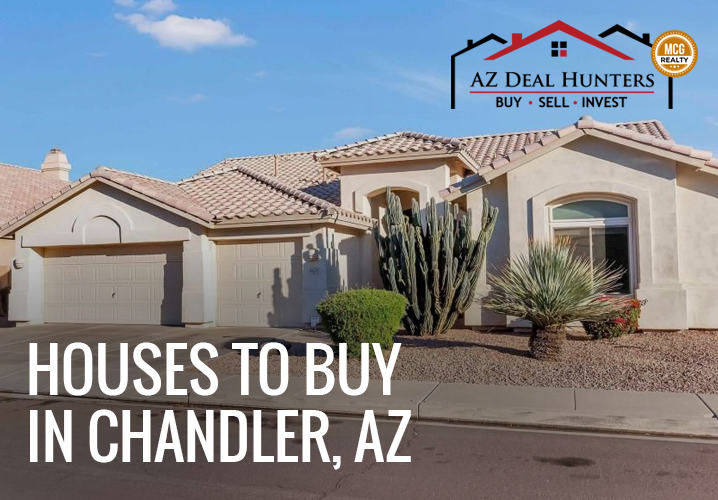 From the initial offer all the way through the closing deal, they will work with you and in your best interest when they’re putting deals on the table. They are emotionally removed from the transaction which makes it easier to make more objective decisions and provide sound advice. Realtors know all of the rules and regulations that are related to the real estate market and the ones that will and will not affect you. They have a ton of continued education on the new rules so that they are also properly prepared to work in the market and advise you correctly. Because realtors work on a commission structure, they are going to want to sell your home for as much as they can. The higher the price that they sell your home for, the higher the payout that they take home will be. You both get a good benefit here. If you’re wanting to make changes to the home that you plan on purchasing, it comes in handy to know the zoning ordinances that you’ll be up against. A realtor can advise you on which codes may apply in that specific area and neighborhood, and also on how to go about getting the proper permissions that you need to begin the work. If that addition you’re planning isn’t possible, they will be able to advise you away from the purchase of that home and into a better, more suitable option. Unfortunately, you have to follow city guidelines when it comes to making any large changes to a home and having a realtor telling you what is and isn’t possible can save you a ton of money along the way. A sale is not final until it’s fully closed. 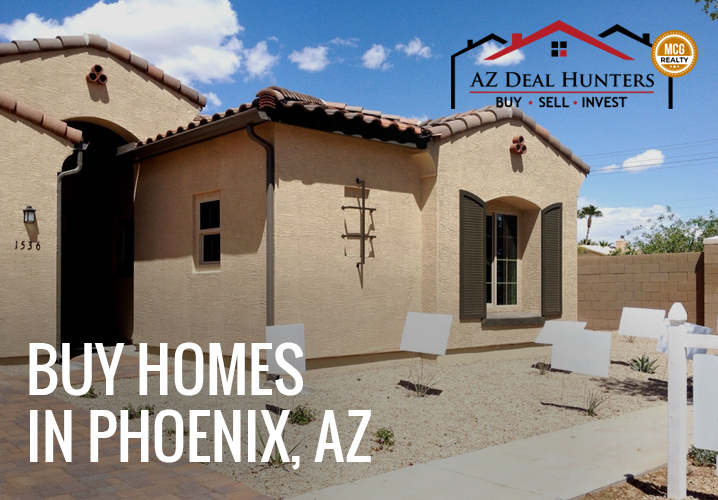 You may think you have secured your dream home only to find that the deal fell through at the last minute. A realtor knows what to look out for before anything like that happens and can advise you correctly. This could be in relation to a title issue, a problem with the lender, or anything else that could pop up at the last minute. Agents are familiar with all kinds of things that could potentially arise when you’re closing on your new home. Realtors are required to keep files of all documents and transactions made for many years after work with them is done. In case anything comes up along the road, you can contact them for any and all information that you may need to resolve it. Realtors are bound by a code of ethics that requires them to deal with every transaction as honestly as they possibly can or they are faced with large fines. A realtor puts the client’s interest before their own and is to make full disclosure about every detail when it comes to a sale or purchase of a home. 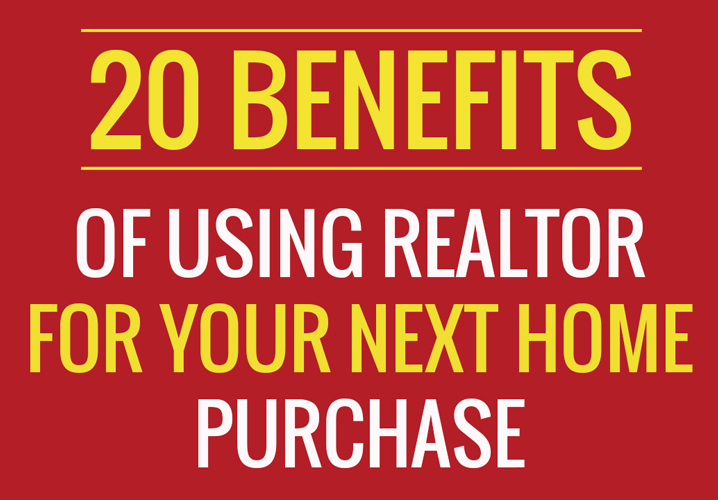 Now that we’ve looked at the top 20 benefits, it’s pretty clear that using a trusted realtor with great experience is going to be the best decision you can make when it comes to buying or selling your home. From their education to the time that it will save you, having an expert steer you in the right direction and out of the wrong one will be a huge weight lifted off of your shoulders during an emotionally exciting and exhausting time.